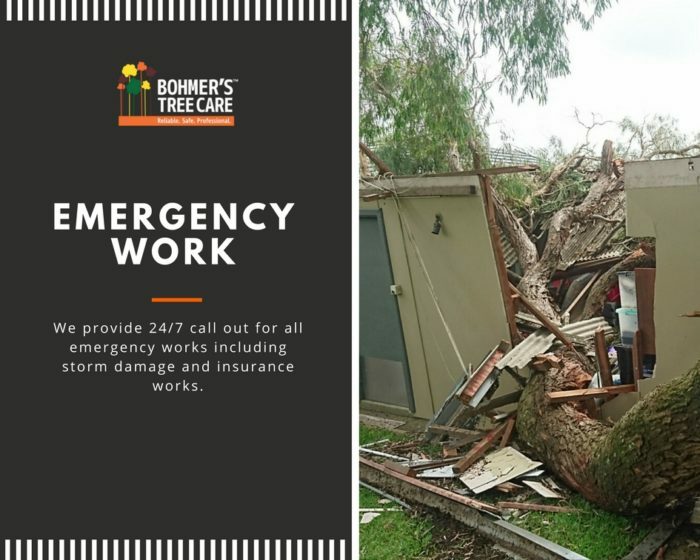 Bohmer’s tree experts provide customers with a safe tree removal service by using lowering devices to carefully lower branches to avoid or protect damage to property. 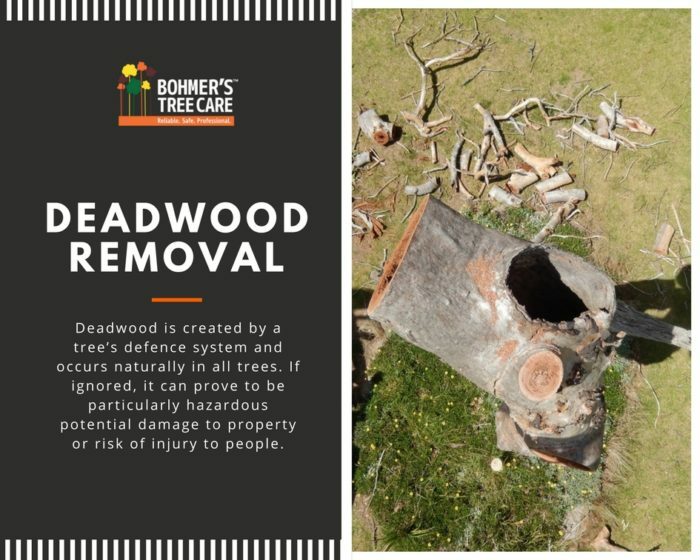 Please note that Tree Removal is only a last resort and Bohmer’s aims to preserve and reinvigorate trees in all circumstances. 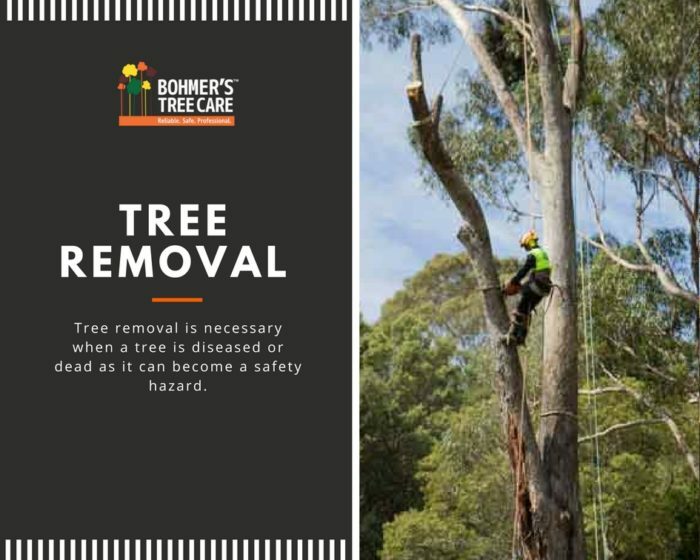 Where circumstances dictate that removal is necessary, we will ensure best practices are carried out and branches are selectively and carefully lowered to avoid damage to other trees, surroundings and habitats. 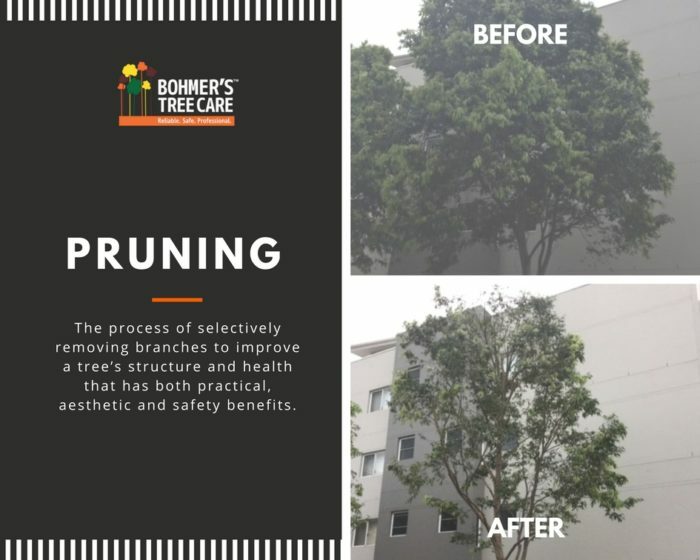 Pruning is the process of selectively removing branches to improve a tree’s structure and health that has both practical, aesthetic and safety benefits. We prune according to top industry standards to ensure that the tree is shaped and balanced to promote health and vigour plus removal of deadwood or limbs (branches) to prevent damage caused during high winds and storms. 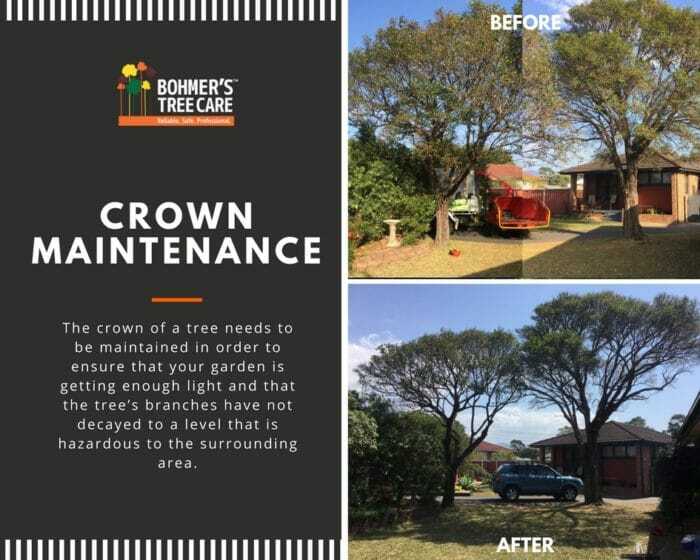 The crown of a tree needs to be maintained in order to ensure that your garden is getting enough light and that the tree’s branches have not decayed to a level that is hazardous to the surrounding area. Also to ensure that the branches have not overgrown and become too top heavy for the tree’s structure and integrity. This is achieved by selectively pruning or removing lower branches of a tree to raise the height of the crown. This increases the distance between ground level and the tree’s lower canopy, creating a uniformed height. This is done to create more light and space for gardens and lawns, enabling access to the bottom of the tree and to support a balanced lower crown. This is the process of cutting branches back to a suitable growth point. This allows the whole tree and crown size to be reduced while still maintaining the shape of the tree. It allows more space and light in your garden as well as controlling the tree’s size. Crown reduction is sometimes considered when the root systems of a tree has substantially decayed, making it potentially hazardous. It should not be considered as a preventative measure for storm or high wind weather as crown thinning is recommended for this. This is the selective pruning of a tree’s canopy without reducing the overall height of the tree. It involves removing a number of secondary branches in a way that produces a balanced structure without altering the overall size and shape of the tree. Often this process is undertaken to compensate for structural defects or simply to create more light and allow more air to flow through the canopy. More air and sunlight means a drier environment, which pests find harder to colonize and enhances plant growth beneath the canopy. We provide 24/7 call out for all emergency works including storm damage and insurance works. Aside from making your property safe, we can assist you with non-emergency related work such as reviewing your property and advising on recommended works. We are proactive and committed to providing a high standard of Work Health and Safety, as well as delivering a professional and expertise service that is aligned with the Australian Standards, Quality Assurance and Work Health Safety Regulations (2011). aiding the growth of symbiotic fungi and beneficial micro organisms. Stump grinding is a method of tree stump removal that minimises the impact on the surrounding environment. It is the most economical way to remove a tree stump from your garden. 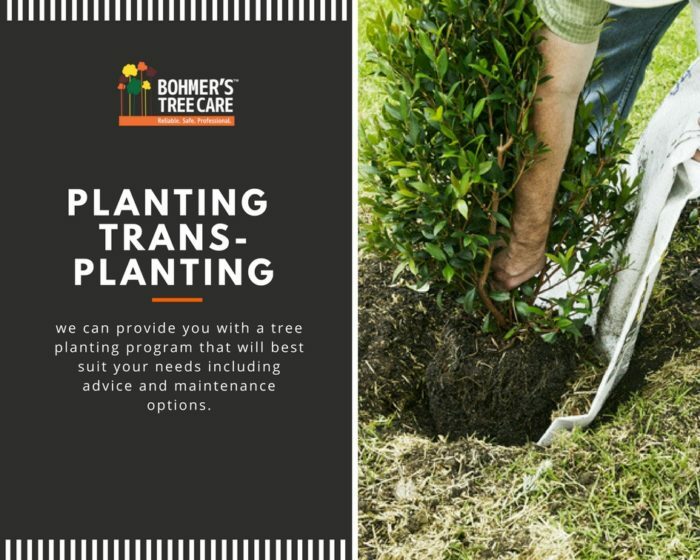 If you are planning a garden landscaping project, you may need to consider the planting and transplanting of trees and other garden plants. Planting a tree may seem like a daunting task, due to time, preparation and a consideration of factors such as size, appearance and location however we can provide you with a tree planting program that will best suit your needs including advice and maintenance options to support the newly planted specimen reach its full potential. A non-invasive method of supporting a tree limb which is at high risk of failure to prevent it from breaking and causing damage to the surrounding area. Our arborists construct a bracing structure that supports the tree and reduces stress damage from high winds. Bohmer’s Tree Care uses and recommends the Cobra Tree Bracing System as the latest innovation in tree support systems. Deadwood is created by a tree’s defence system and occurs naturally in all trees. If ignored, it can prove to be particularly hazardous potential damage to property or risk of injury to people. 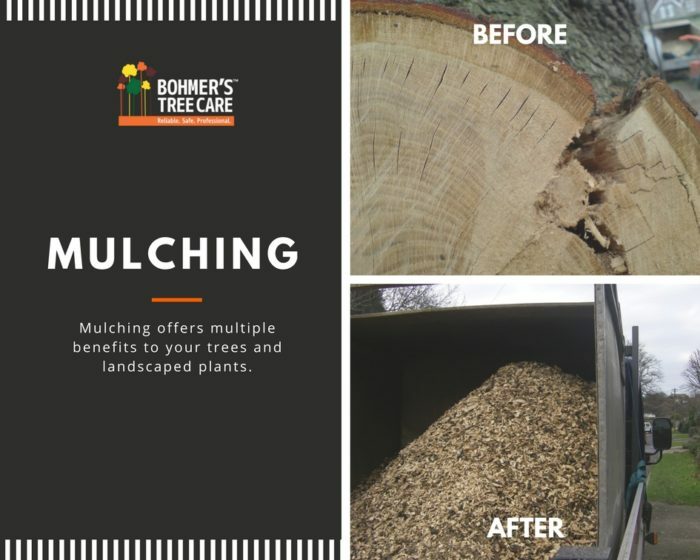 As with all our tree cutting services, our primary goal is to perform each and every service with consideration to the environment. To minimise disturbances to an animal’s habitat, larger dead wood branches can be safely reduced rather than completely removed. Our aim is to improve the general appearance and health of the tree by reducing risks of harm.